Ashley Brush became part of the Benchmark Destinations team in 2007. 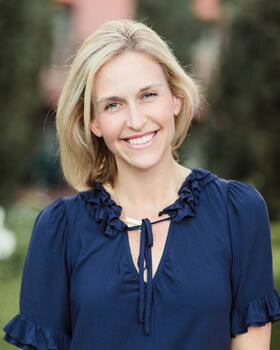 A San Francisco Bay Area native, Ashley was born and grew up in the town of Piedmont before moving to Dallas, Texas where she received her BA in sociology from Southern Methodist University. During her college years she was chairwoman of her sorority & thrived in organizing social events. Summer break would provide an opportunity for her to gain work experience at a dude ranch in Wyoming which ultimately fostered her interest in hospitality. Ashley brings with her years of talent, expertise, a positive attitude and a great sense of humor. Clients always enjoy working with her on their programs – from concept to completion – Ashley is as dedicated as they come. During her leisure time, you can find her with her family, hosting & entertaining friends at home or traveling to the great outdoors!